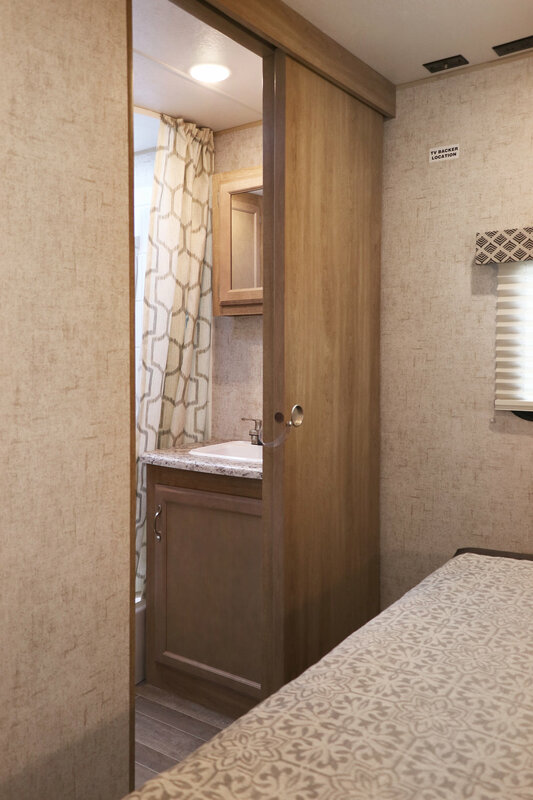 The 24RLS by Braxton Creek is a great floor plan for the empty nesters ready to get away for a long weekend or longer. 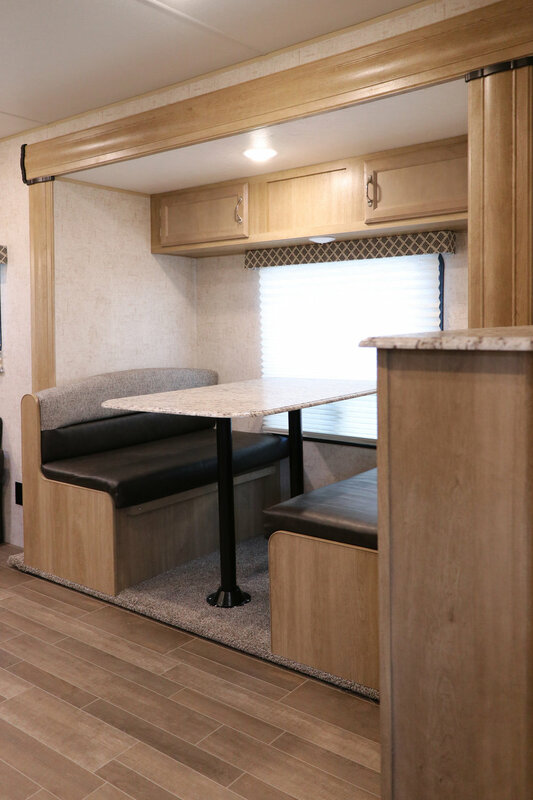 With the deep 36 inch slide out room the dinette is moved to the side to open the living area for added comfort and floor space. 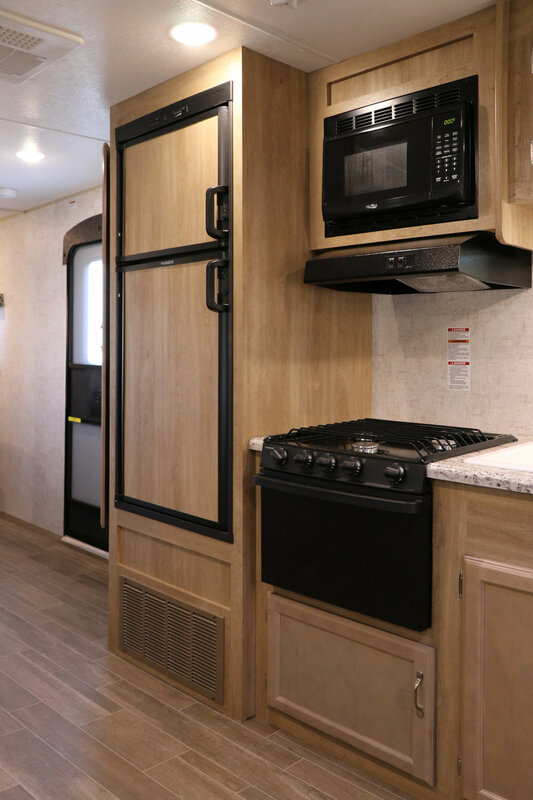 The large kitchen countertop provides lots of space for preparing a great meal or a convenient space for setting a great buffet! With all the necessary appliances just like home, anything is possible! 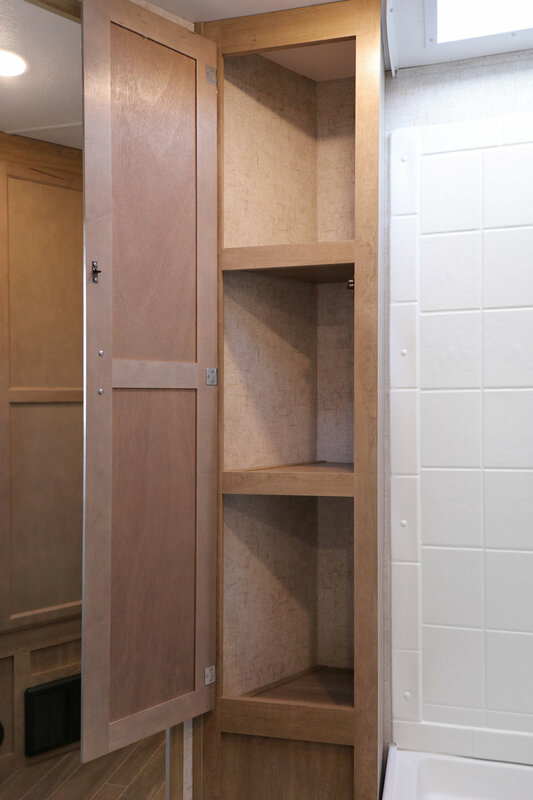 The recessed refrigerator holds a great cache of food and at easy reach for preparation. 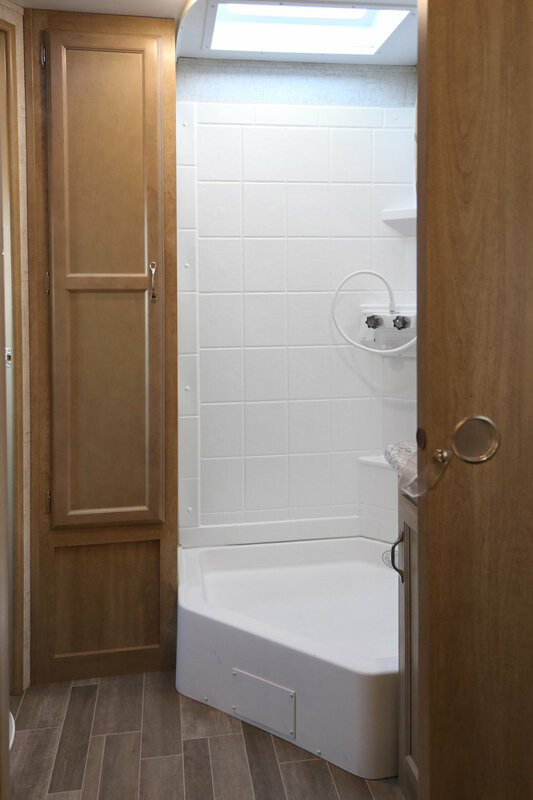 The ample, complete bathroom has dual access from the living area as well as the bedroom. 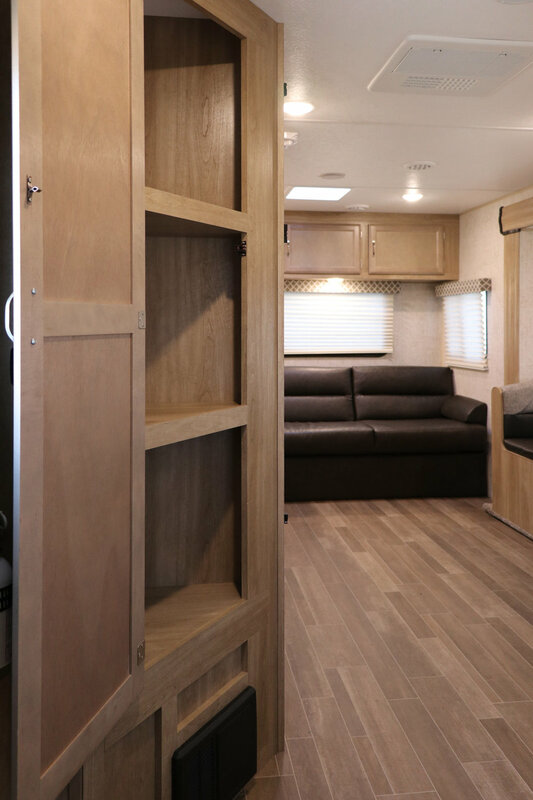 The queen bedroom offers a great place for a good night sleep or that afternoon nap following a big lunch. 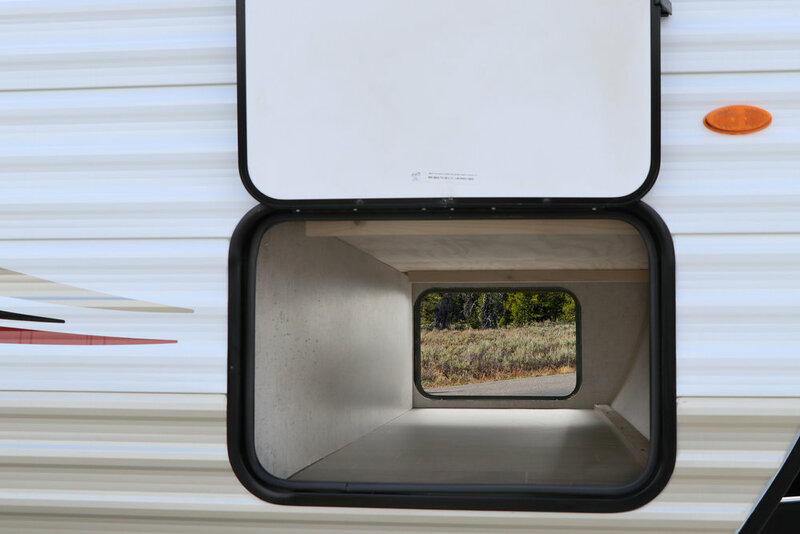 The large tinted windows open easily for fresh air and provide the great view of the camping area. 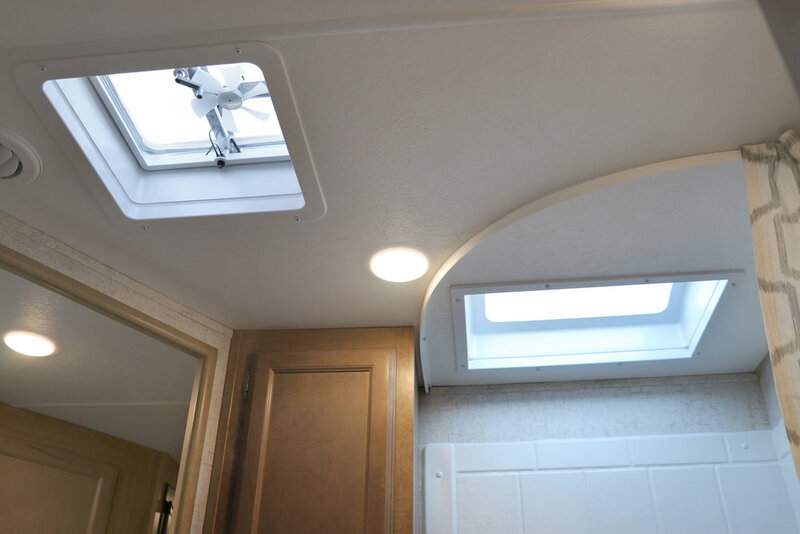 On the outside, the electric awning easy opens to expand the living space and offer the comfort of shade and protection from rain. 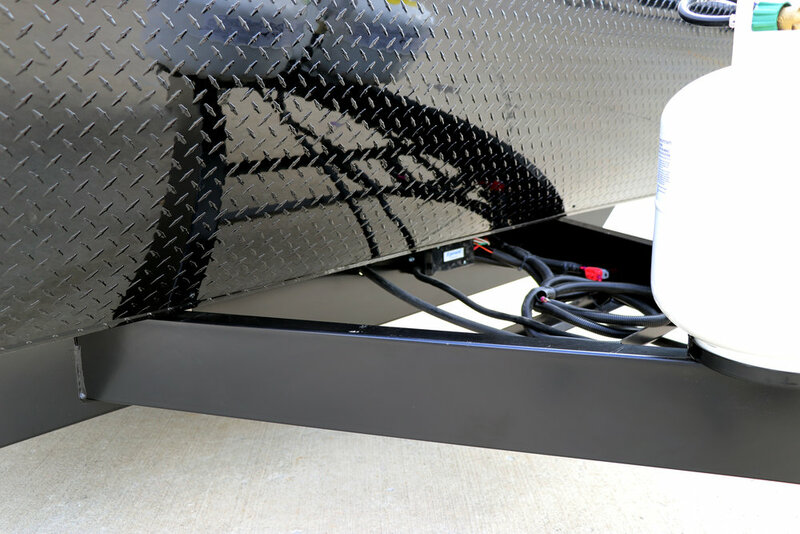 The large pass thru storage compartment easily stows away the fishing poles and other items not needed inside the camper. Finally, the outside hot & cold shower faucets get the water just right to wash the dog or clean up after cleaning the fish. 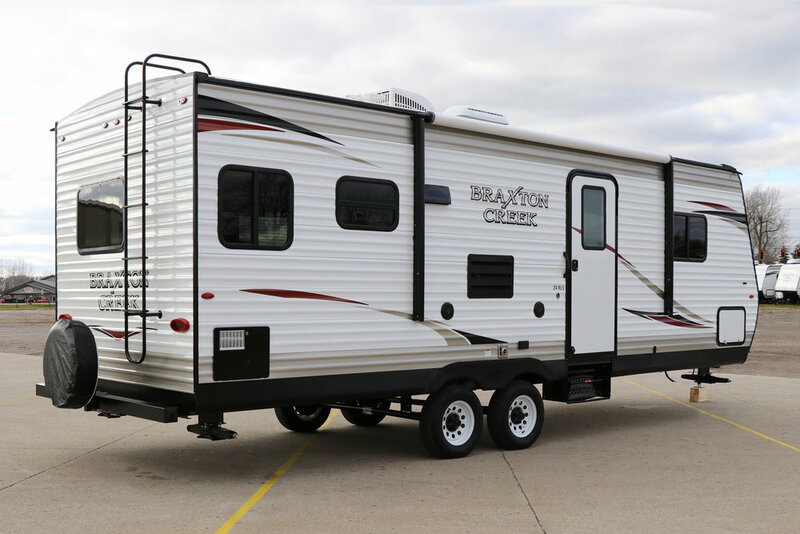 More features, great quality and great looks, Braxton Creek has every detail covered. NORCO NXG Frame w/ Integrated A Frame, Dexter Axles w/ Electric Brakes, 5/8” Tongue and Groove Plywood Floor. Wood Framed Walls and Roof are 16” on center. R-8 Insulated Floor, Sidewalls and Roof. Aluminum .024 siding on Back & Sidewalls. Smooth Aluminum Metal Front w/ Diamond Plate Lower Front. 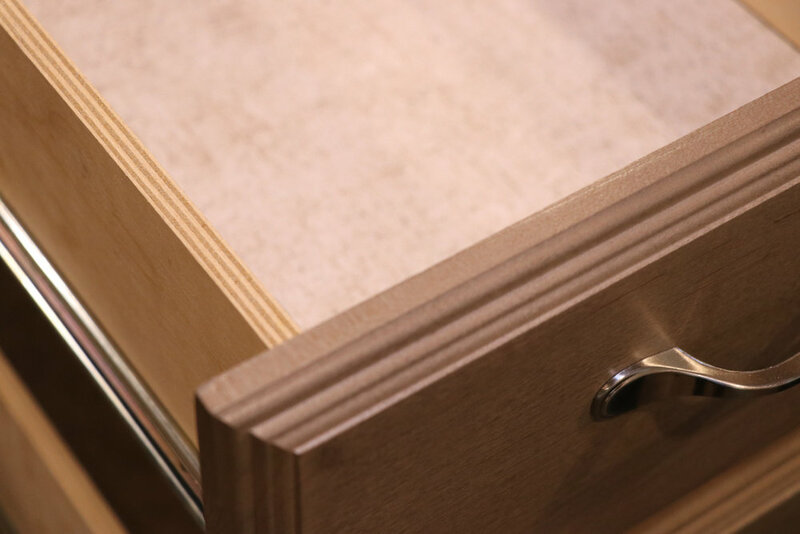 Hardwood Drawer Fronts, Mortise and Tenon Cabinet Doors. 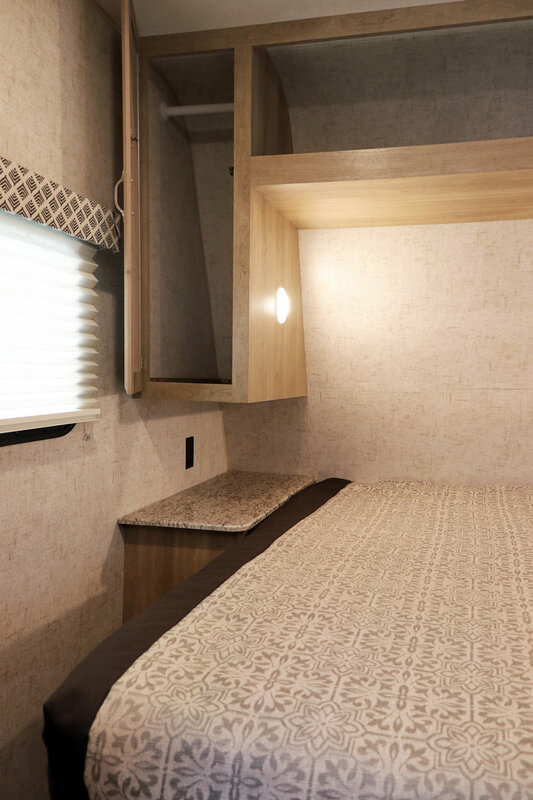 Self-Edged - Seamless Laminated Countertops, Full Extension Ball Bearing Cabinet Drawer Slides w/ 7 Ply Sides, Linoleum Floors Throughout. American Made Mastercraft Furniture and Cushions. LED Interior and Exterior Lighting, 3-Burner Range w/ Oven, Range Hood, Microwave, 6 cu. 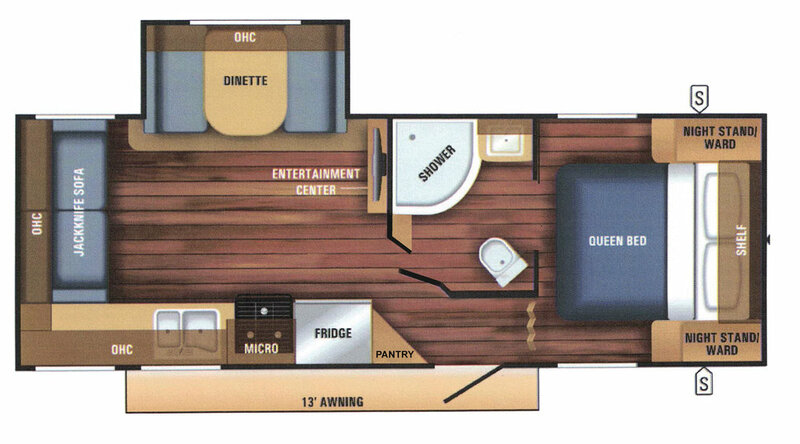 ft. Refrigerator w/ Thermostat, Ducted 13,500 BTU Roof A/C w/ Adjustable Ceiling Vents. Foot Flush Toilet. Power Bath Vent. 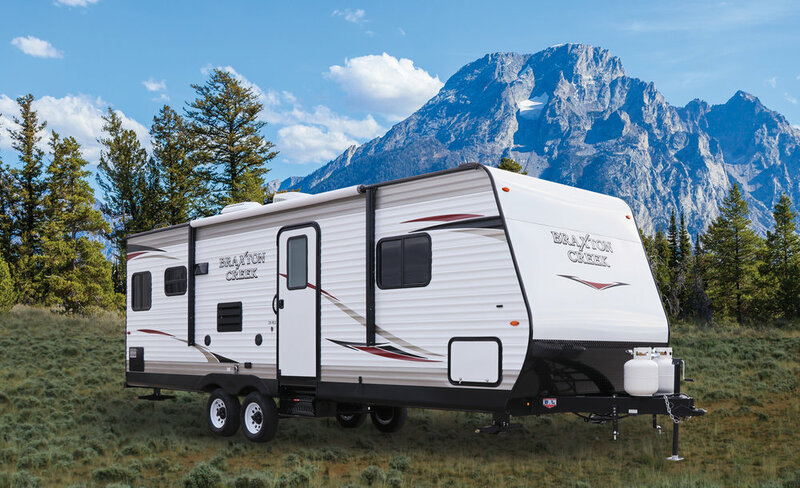 6-gallon LP Gas/DSI/Electric Water Heater, 20,000 BTU Furnace, Power Awning, Stabilizer Jacks (4). Pleated Night Shades. Rich, Durable Contemporary Interior Decor. Bright Exterior Appearance with Attractive, High Quality Graphics. One-piece .023 Thickness Aluminum Roof w/ Decking. Galvanized Impact Resistant Wheel Wells. Relax on the American Made Mastercraft Furniture and Cushions. 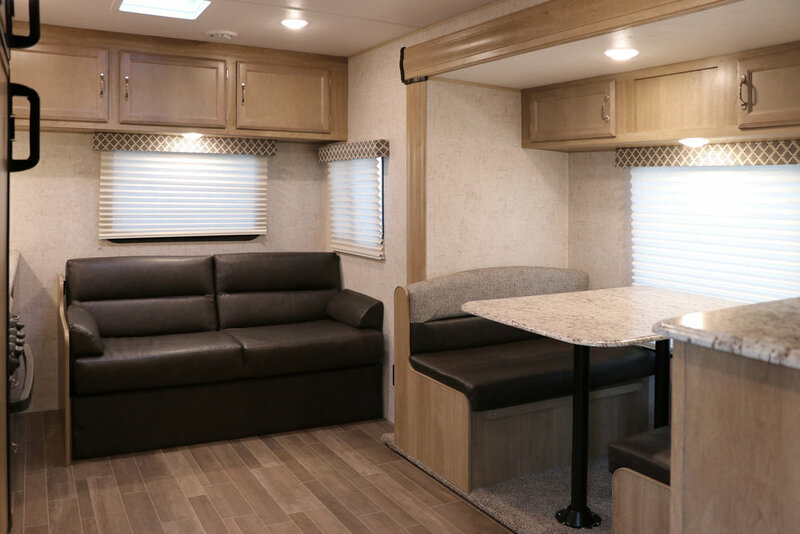 The 36 inch deep slideout dinette provides a spacious rear living room. Everything you need to prepare your breakfasts, lunches or dinners is two steps away. All information listed on this website is the latest available at the time of publication. Braxton Creek reserves the right to make changes and to discontinue models without notice or obligation. Photography may show optional equipment or props used for decoration purposes only.